Following our tradition of working with and building long term, industry partnerships, the Professional Mountain Bike Instructor Association (PMBIA) is proud to announce official relationships with Whistler Mountain Bike Park, IMBA Canada and the Canadian Association of Snowboard Instructors (CASI). After 11 years of PMBI Courses, the PMBI Association has been working tirelessly to increase the standards, consistency, and availability of mountain bike instructors courses, worldwide. These partnerships and collaborations further solidify the PMBIA’s position as the industry leading standard, as we continue to develop and build our internationally available programs, with the best people in the mountain bike and instructor training industries. While the PMBIA has been offering its Level 1 Instructor Courses in the Whistler Valley for many years, 2017 will see all courses also offered in the Whistler Mountain Bike Park, as the PMBIA becomes the official mountain bike instructor certification for Whistler Blackcomb. “Over the years, PMBIA has developed an excellent curriculum that aligns well with the needs of our Bike School. We’re excited to work with the PMBIA as our official certification provider for the mountain bike school and look forward to the potential this relationship brings to the Whistler Mountain Bike Park.” Rob McSkimming, Whistler Blackcomb Vice President, Business Development. 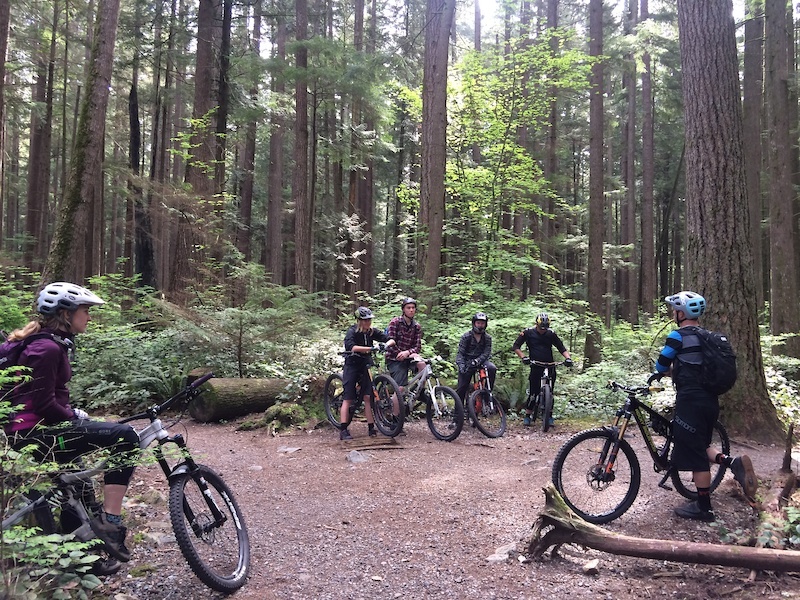 Paul Howard, PMBIA Technical Director, during a level two Course in the Whistler Mountain Bike Park. 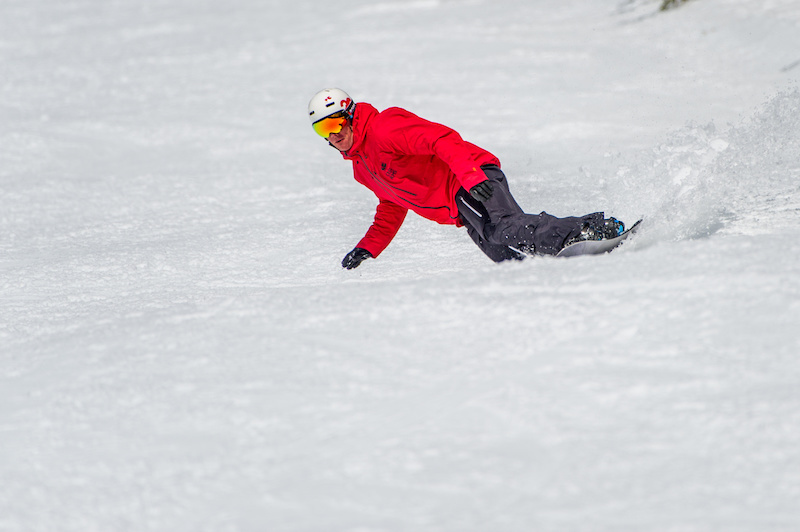 The course covers extensive training for instructors to develop the technical skills of advanced riders. 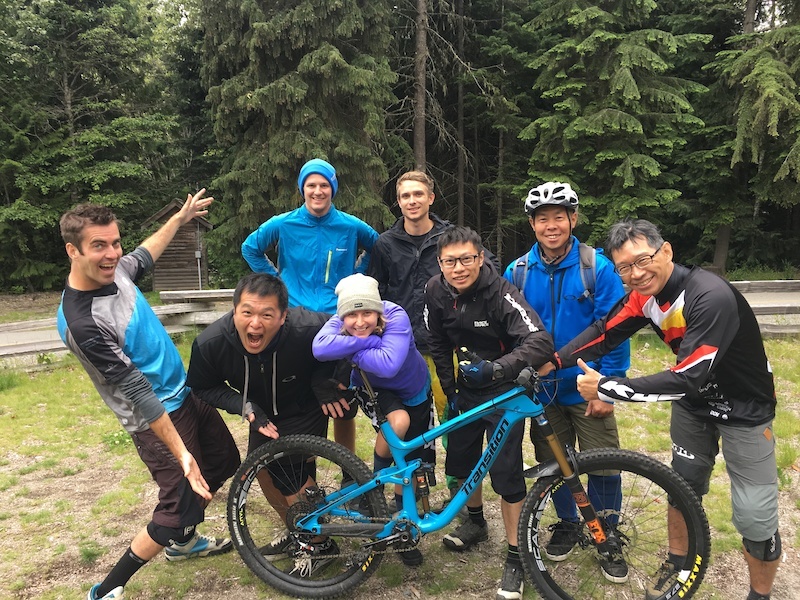 “Since we began offering PMBI courses in Whistler over ten years ago, our goal has always been to help unite the mountain bike instructor training industry with a stronger, more relevant and professional, global certification. Higher quality training, more consistent instructor standards and worldwide availability. 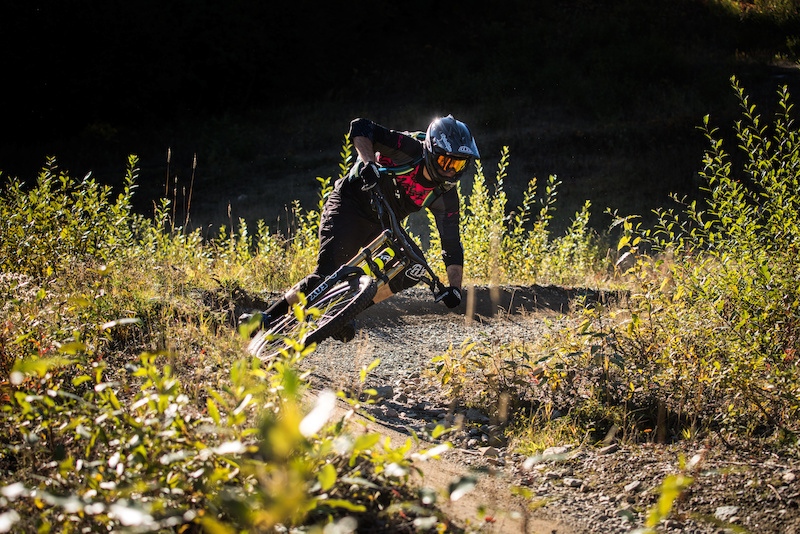 Signing with Whistler Mountain Bike Park, the best bike park in the world, is a natural fit for the world’s leading mtb instructor certification. As the PMBIA continually develops its programs and course content through its Advisory Committee, Course Conductors and Board of Directors, this relationship with Whistler Mountain Bike Park provides us with another superior resource to draw from, to ensure our programs are as strong and effective as possible.” Paul Howard, Technical Director, PMBI Association. Darren Butler, PMBIA Assistant Technical Director, training candidates on a Level 1 course in the North Shore. 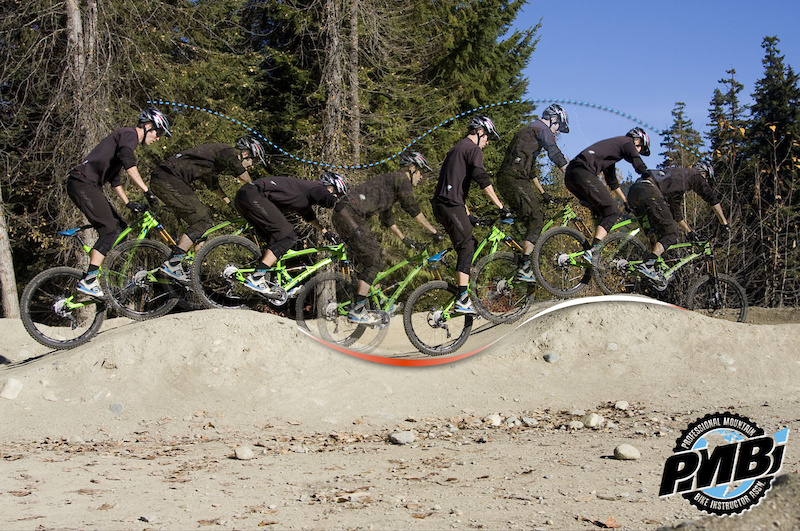 “It is very exciting to be partnering the PMBIA and the global leader, Whistler Mountain Bike Park. PMBIA’s long time goal of building an industry-wide standard for Instructor Certifications around the world reaches a new milestone with this relationship. For over ten years, we have been working tirelessly to get all of the bike parks, commercial operators and associations to come on board and support this cause and vision and Whistler Mountain Bike Park signing a partnership agreement with the PMBIA, is another big step. In conjunction with our recent partnership with IMBA Canada, this is a sign of great things to come in Canada and around the world!” Darren Butler, Assistant Technical Director, PMBI Association. 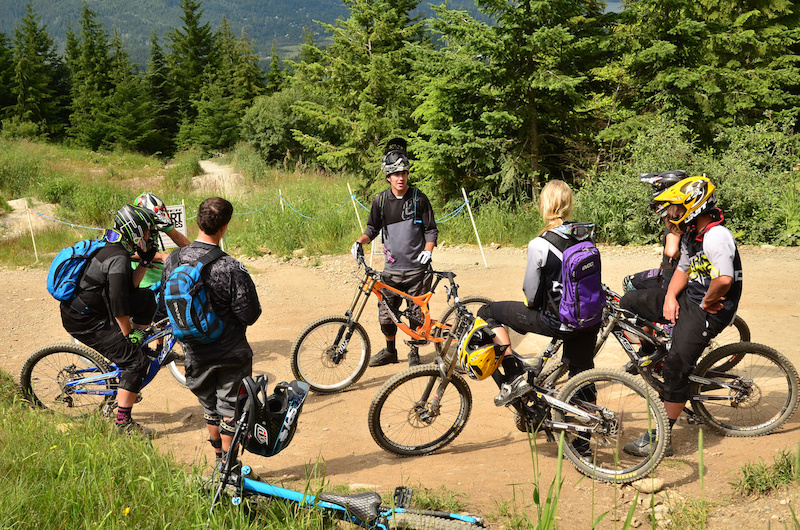 Whistler Mountain Bike Park’s network of green and blue trails, along with their skills centres, provide the ideal environment to learn how to mountain bike for the first time, or for any rider to push their skills to the next level. Naturally, this also provides a perfect environment to train prospective instructors and guides. 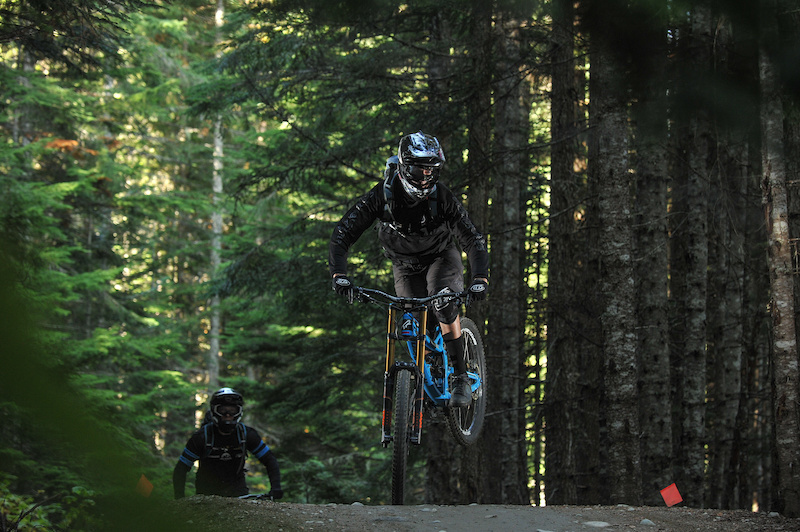 “Having PMBIA as the official certification body for Whistler Mountain Bike Park is a natural progression for the Association. 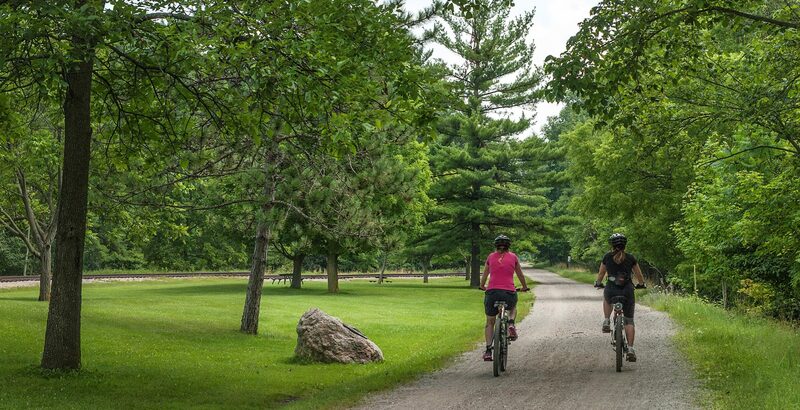 PMBIA is the clear leader in MTB certification courses in Canada and beyond; what better match for the number one MTB destination in the world. The PMBIA product is a comprehensive and streamlined approach to teaching mountain biking to the public; all the years of tweaking the content has produced a product that simply works every time, with riders of all abilities.” Luc Belanger, Manager, Snow School and Summer Programming, Blue Mountain Resorts LP, Ontario. PMBIA level one courses are offered almost every weekend in Whistler Valley through May and June, and throughout the season. 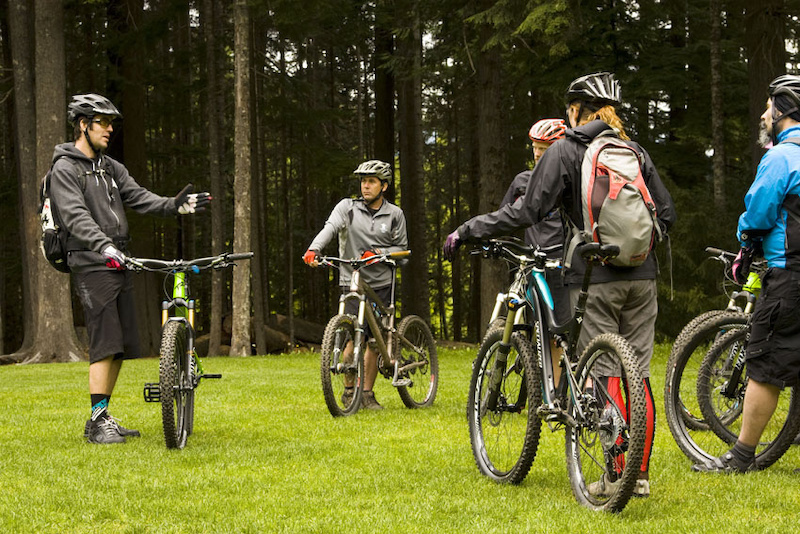 Level one courses will now also be available in the Whistler Mountain Bike Park. “Whistler Mountain Bike Park is the most talked about and ridden bike park in the world. This relationship with PMBIA will undoubtedly benefit both parties. It’s been great to see the success of PMBIA in Australia and New Zealand since they starting running courses here over six years ago. Combined with the fact that there’s so many Aussies and Kiwis living in Whistler each summer, this new partnership will help further cement PMBIA’s position in the Southern Hemisphere, as the leading instructor certification.” Shannon Rademaker, Owner, Head Coach, Oz Gravity, Australia. 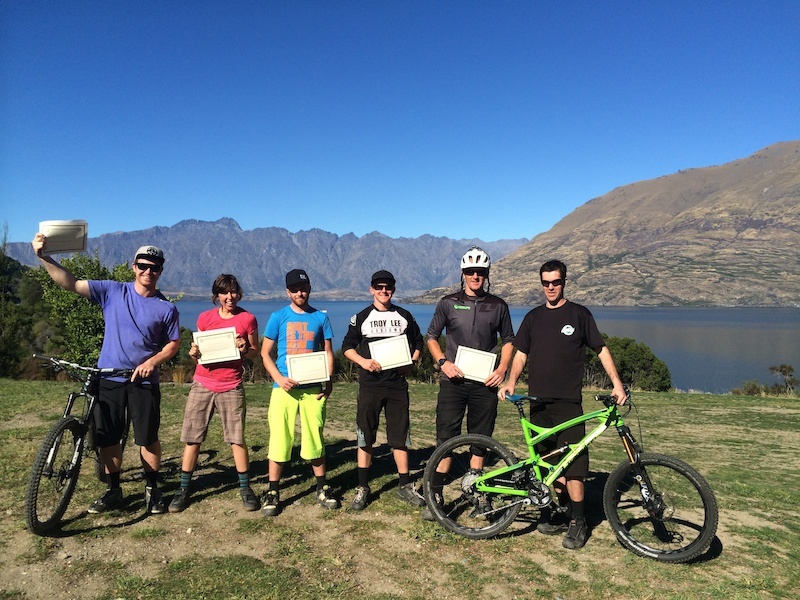 A great group on a PMBIA level one in Queenstown, New Zealand, in 2013. Other PMBIA locations in New Zealand include Christchurch, Nelson, Wellington, and Rotorua, in addition to multiple locations throughout Australia. The team behind the PMBIA have enjoyed many conversations with IMBA Canada about all things mountain biking, for over a decade. 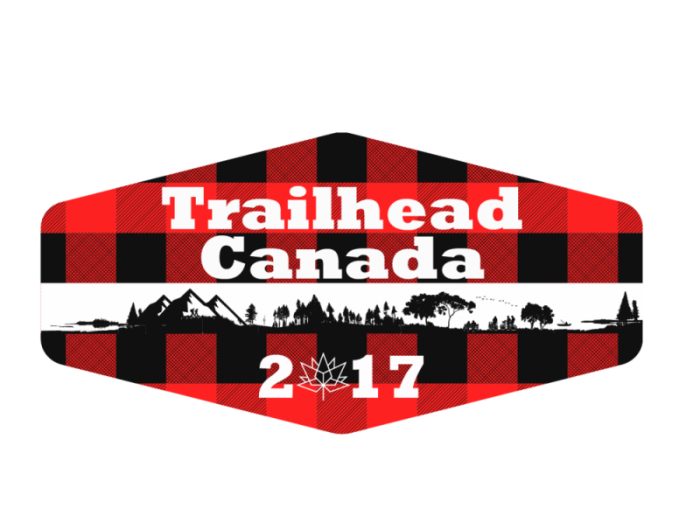 Both organizations share a mutual respect and passion for building mountain biking in Canada. In 2016, IMBA Canada was proud to announce the establishment of an integral partnership with the Professional Mountain Bike Instructor Association as its recognized Instructor, Guide, and Ride Leader training partner. The PMBIA Level 2 course in Whistler Mountain Bike Park, training the likes of World Cup Legends, Chris Kovarik and Claire Buchar in 2011. All PMBIA Courses will be available in the Whistler Mountain Bike Park for 2017. A Memorandum of Understanding has been developed between the Canadian Association of Snowboard Instructors (CASI) and the Professional Mountain Bike Instructor Association (PMBIA) in the interest of exploring opportunities to share and collaborate on common initiatives related to instructor education, training, and certification. Through strategic dialogue, these organizations will consider opportunities for future collaboration that will contribute and support each other’s mission and mandate. “CASI is known as the largest and finest snowboard instructor training body in the world, so the PMBIA is proud and honoured to be officially collaborating with them. It was incredibly encouraging to see there were many fundamental similarities between some of our materials when I began working with CASI, all those years ago. CASI has been around for over twenty years, so the organization has a depth of knowledge and experience that we don’t have yet in the mountain bike industry. Being able to draw from this knowledge while also being able to return the favour with our experiences and expertise in the mountain bike industry, is a win-win for both organizations.” Paul Howard, PMBIA Technical Director. Jeff’s the National Technical Coordinator of CASI and also a past BC Bike Race Competitor. PMBIA and CASI collaborating together is great news for both snowboarding and mountain biking. An excerpt from the 2016 PMBIA Reference Guide looking at the movements behind active Pressure Control when pumping. The PMBIA Member-Based Pro-Deal Program is an industry first, and we’re excited to be adding new Pro-Deal Partners for 2017, with EVOC and Transition Bikes joining the program. EVOC packs will be available exclusively to PMBIA members on our secure Members Store from May, this year. Transition Bikes Pro-Deals will be available to Level 2 Instructors only and upon approval of a Transition Bike Company representative. Details to apply will be in our PMBIA Members Area. Other Pro-Deal partners include Five Ten, MRP (available to PMBIA members, worldwide), Troy Lee Designs and Vorsprung Suspension. PMBIA would like to thank all our Pro-Deal partners in providing our members with the support they need to perform their jobs of teaching and guiding, to the best of their abilities, with the best equipment available. Another international group visiting PMBIA in Whistler for their Level 1 course. Fun times with great people! The PMBI Association is the not-for-profit, governing body for mountain bike Instructor certification courses, within the mountain bike industry. The PMBI Association trains and certifies mountain bike instructors and guides to effectively teach mountain bike riding skills in both cross country and downhill environments, while guiding students safely on varying degrees of technical terrain.The PMBI Certifications are the most widely available and recognized certifications courses in the world today.